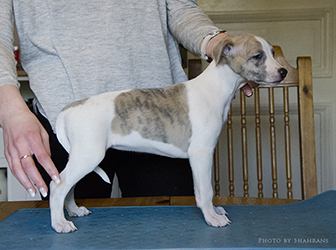 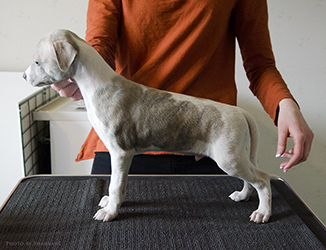 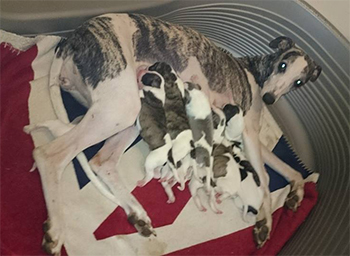 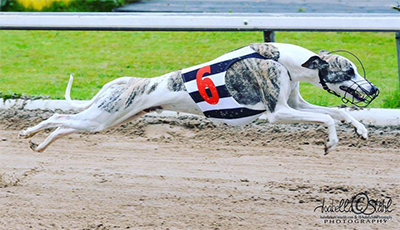 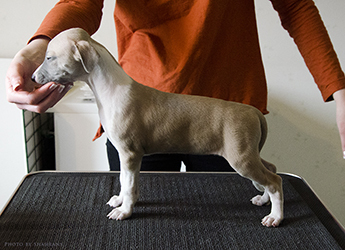 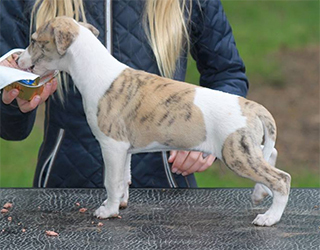 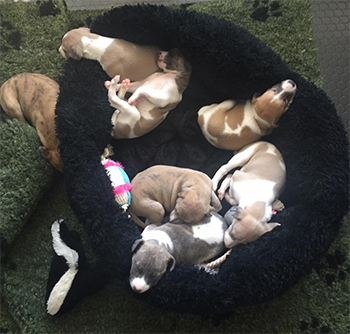 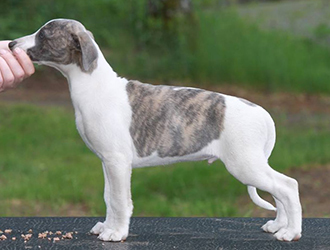 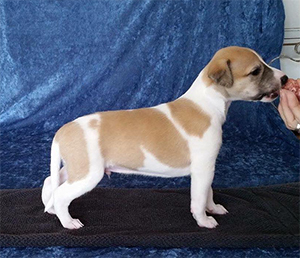 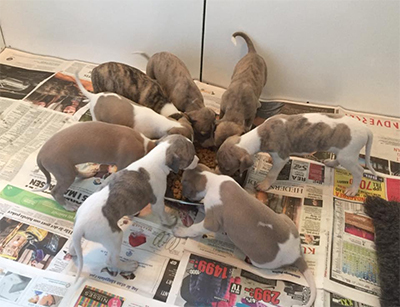 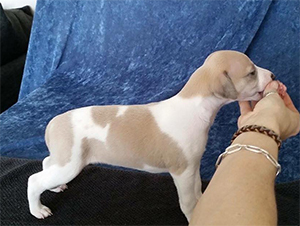 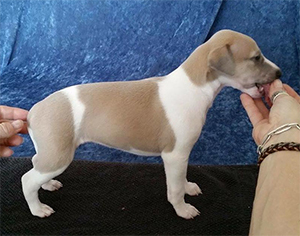 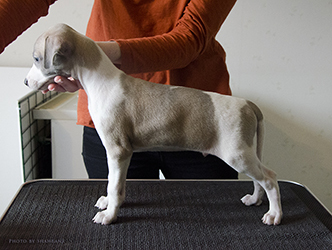 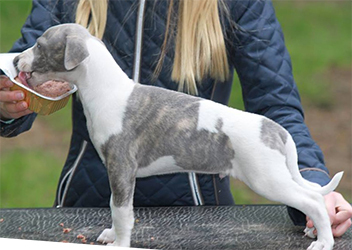 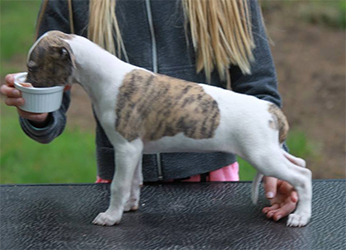 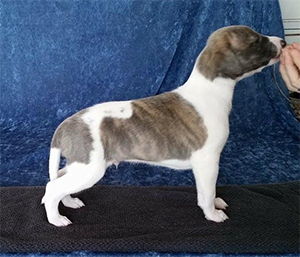 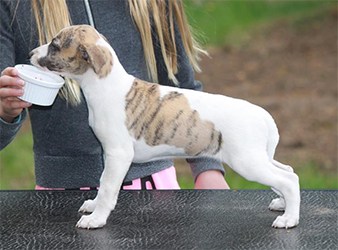 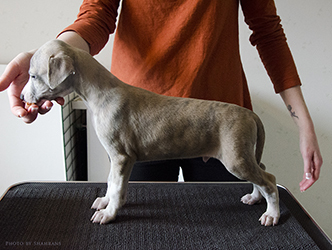 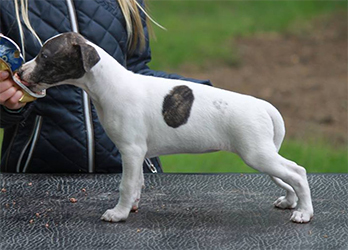 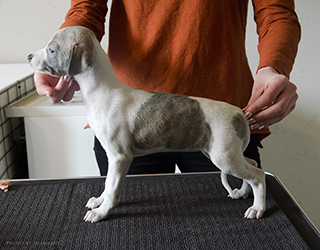 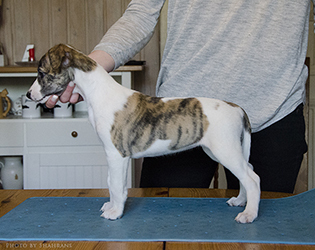 Sawyer is the father of 6 litters in Sweden; at kennel Delaklin's, kennel Klenod's, kennel Mac Bell's, kennel Yermoloff and kennel Gold Dust. 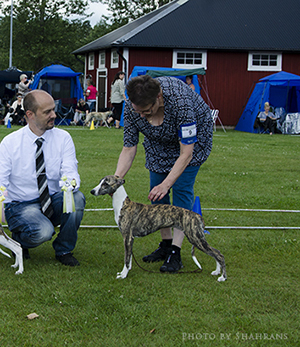 Some of them have already started their show carreers with lovely results. 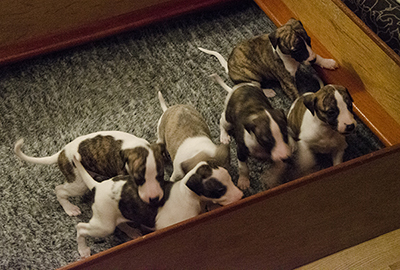 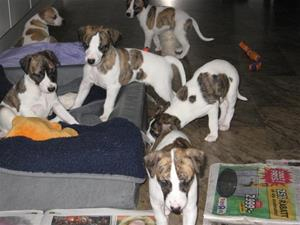 We are very excited to follow the life of his puppies. 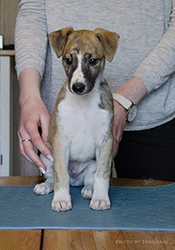 Penny lives with Jennifer in Anderslöv, Sweden. 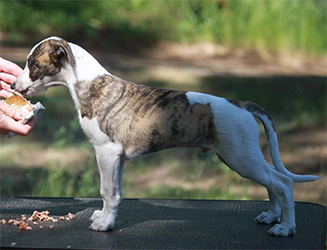 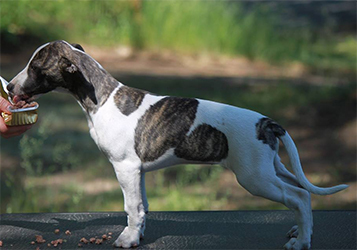 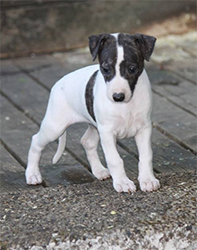 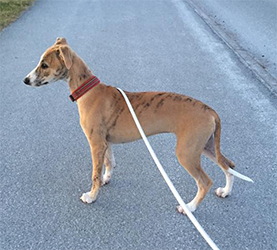 Blaze lives with Louise in Bromölla, Sweden, together with the basenji Bruce (a son of our Raffe). 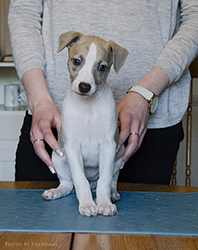 Wembley lives with the Ames family in Trollhättan, Sweden. 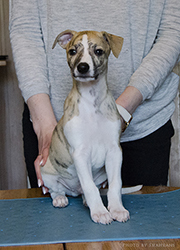 Bessi lives with Anna Carin in Borås, Sweden. 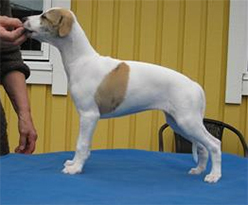 Jasmine lives with Ove and Vivianne in Sweden. 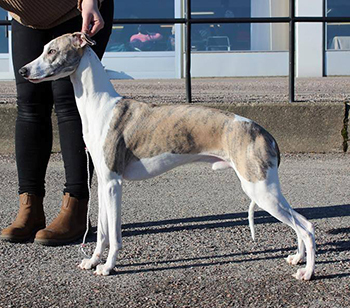 Otto lives in Helsingborg, Sweden. 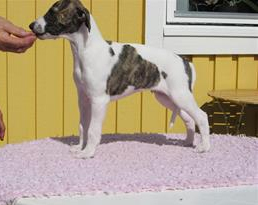 Karin lives with her breeder in Mölnlycke, Sweden. 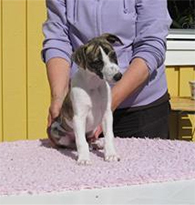 Mini lives with her breeder in Söderköping, Sweden. 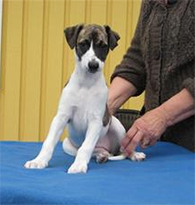 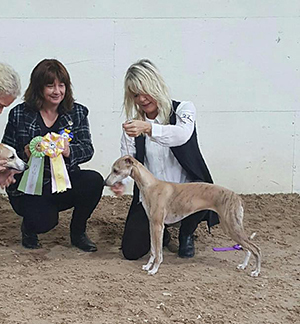 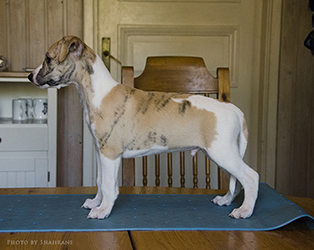 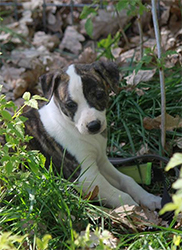 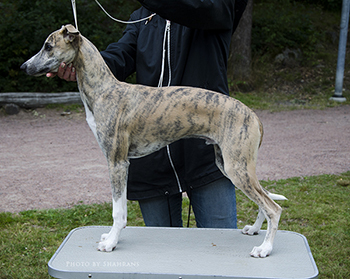 Otto lives with his breeders in Katrineholm, Sweden. 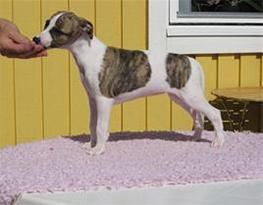 Freya lives with Lena and her family in Påarp, Sweden, together with her mother Vera. 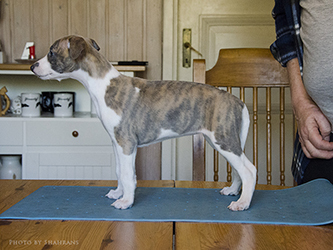 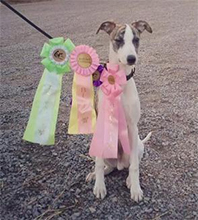 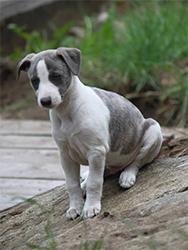 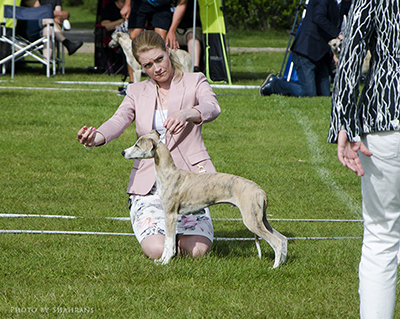 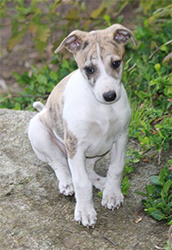 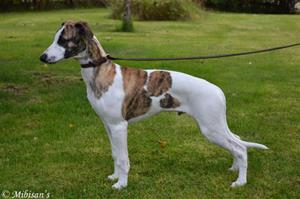 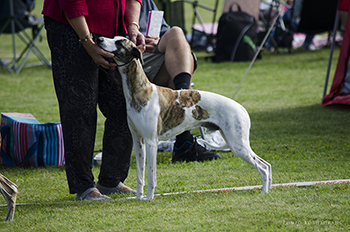 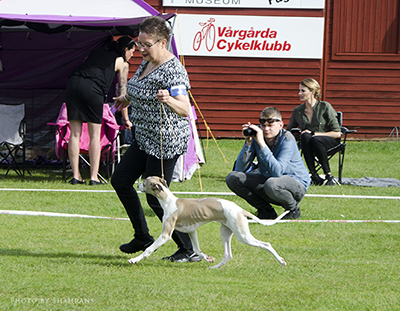 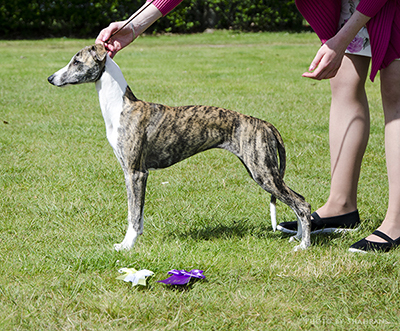 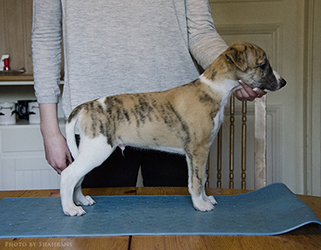 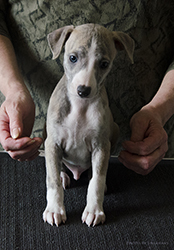 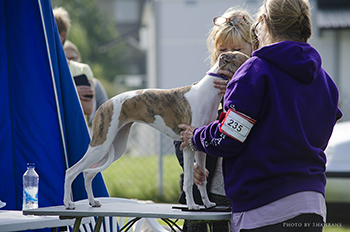 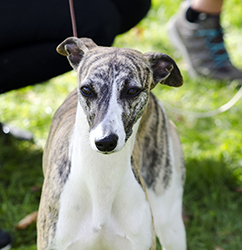 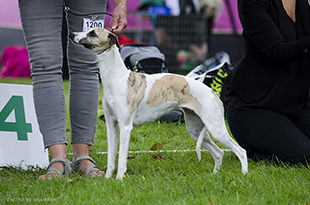 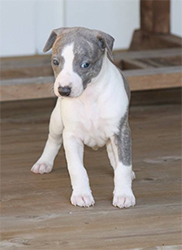 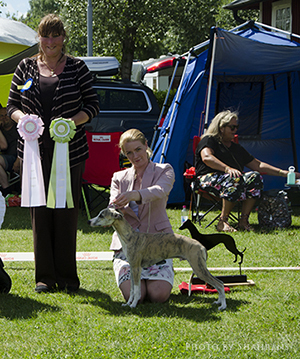 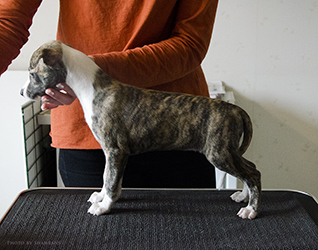 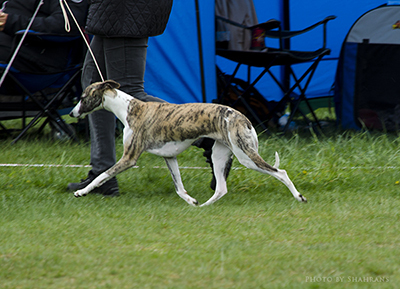 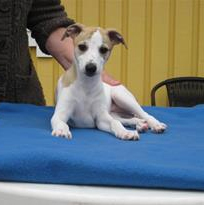 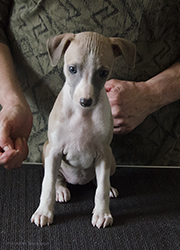 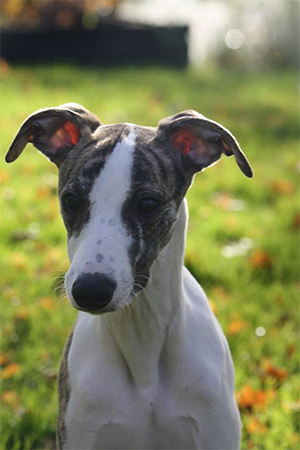 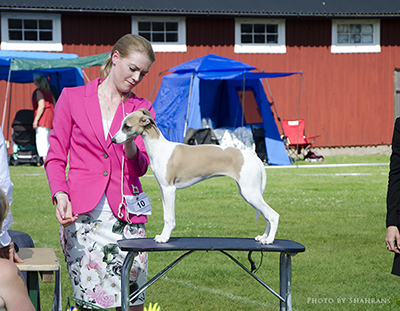 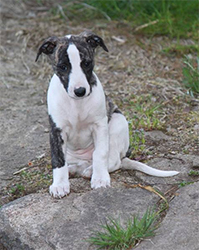 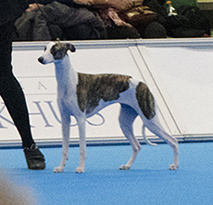 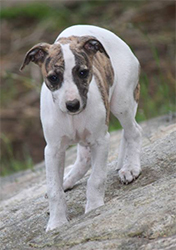 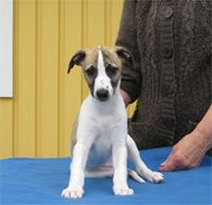 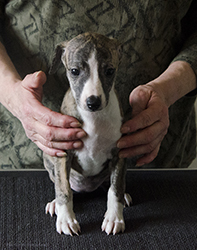 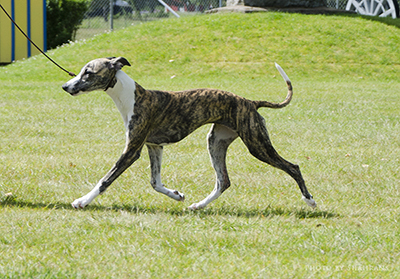 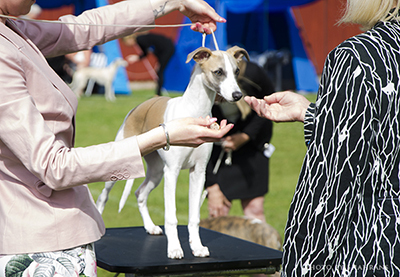 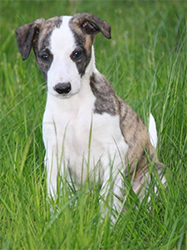 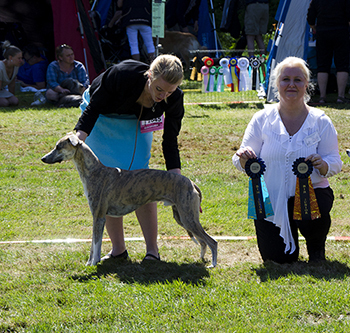 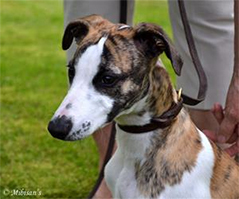 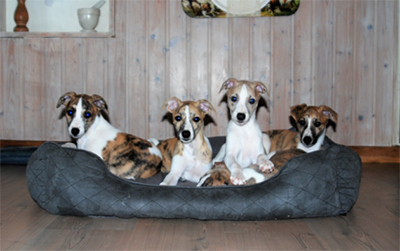 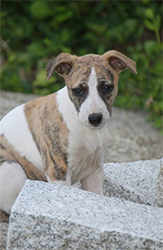 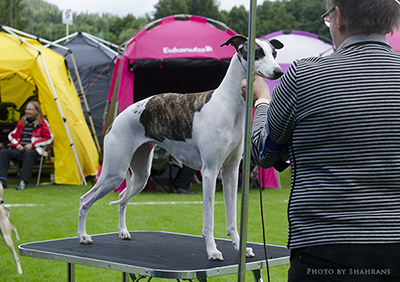 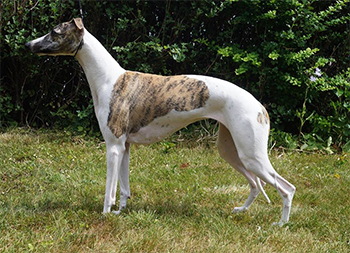 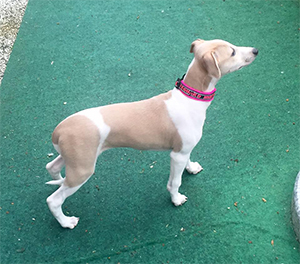 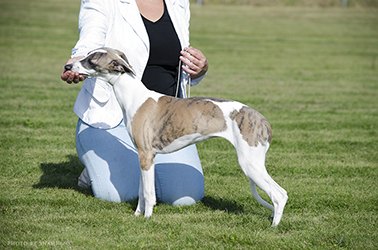 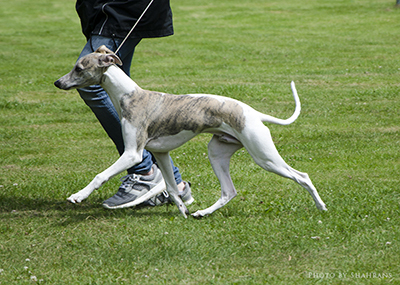 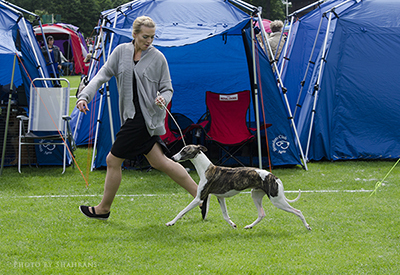 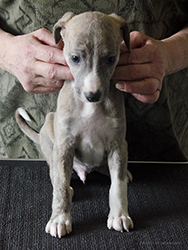 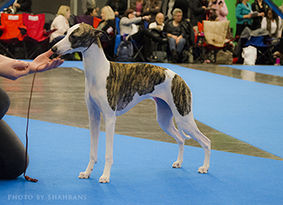 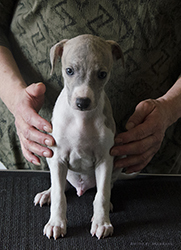 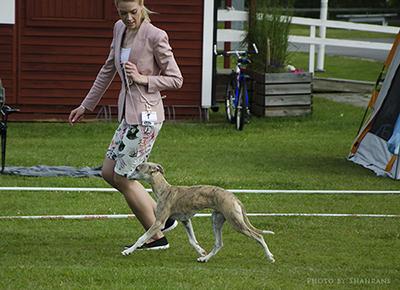 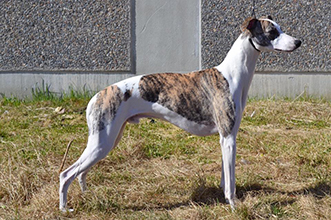 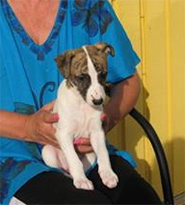 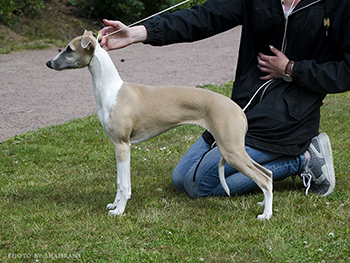 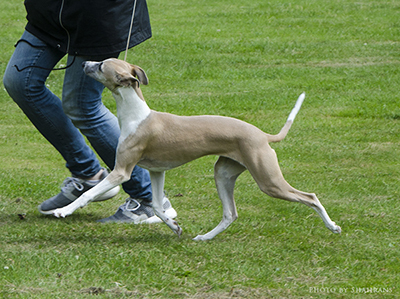 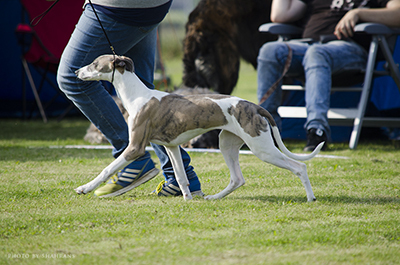 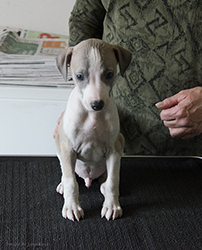 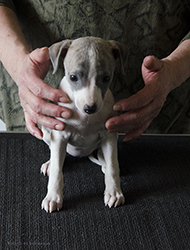 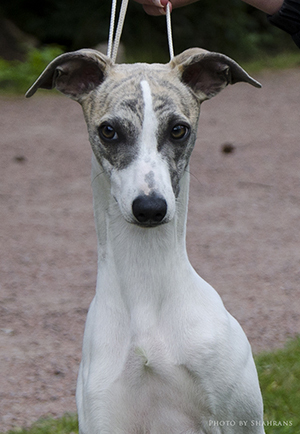 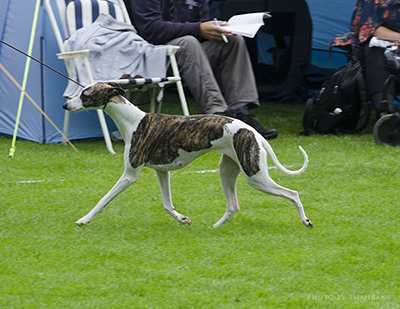 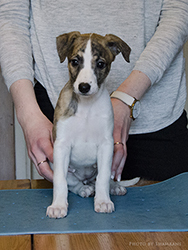 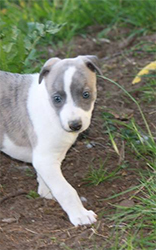 Signe lives with Kristina and her family in Essunga, Sweden, together with whippet friends. 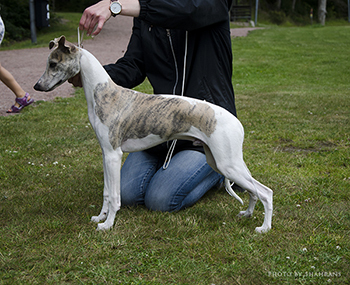 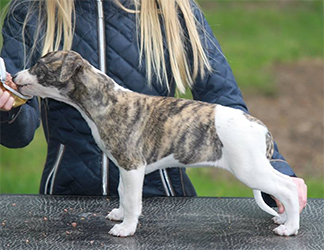 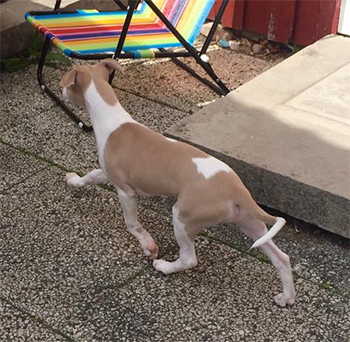 Agnes lives with Charlotta in Vallda, Sweden, together with a whippet friend. 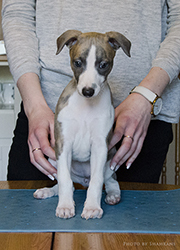 Arne lives with Hanna in Gävle, Sweden. 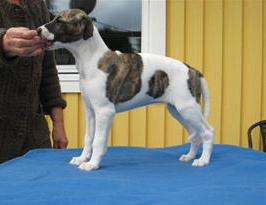 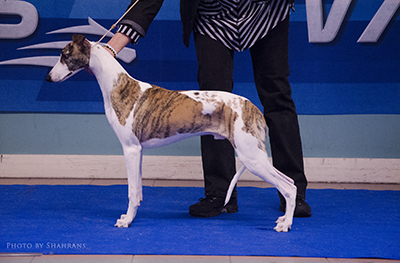 Razzel lives with Marie-Louise in Trollhättan, Sweden, and is owned by his breeder. 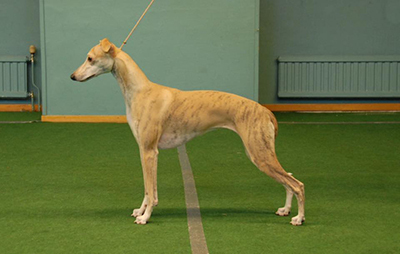 Alfons lives in Gävle, Sweden. 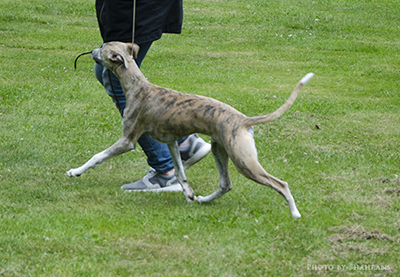 Hero lives in Borås, Sweden. 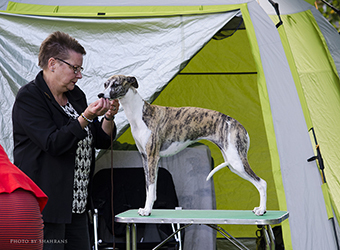 Vilma lives in Uddevalla, Sweden.